We will open for our 24th season on Wednesday, May 1, 2019. 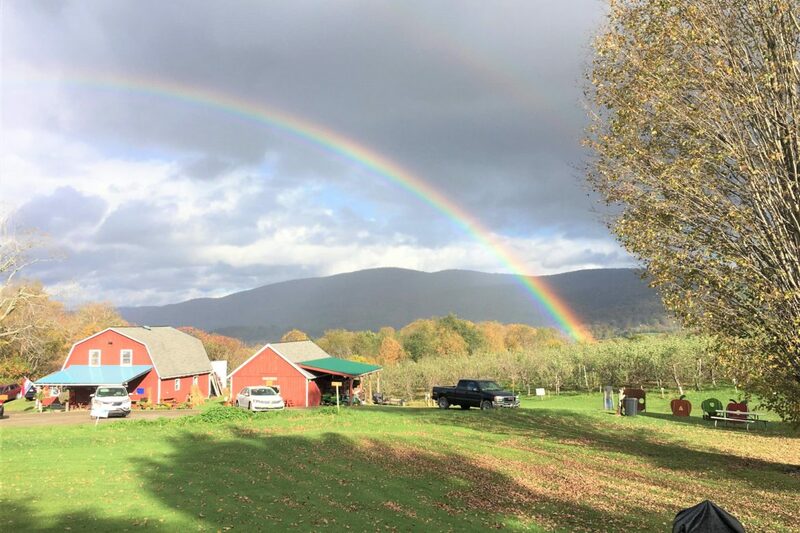 We take pride in our orchard, cider house and farm stand bakery/kitchen. We look forward to providing you with our fresh berries, tree fruits, and a variety of seasonal vegetables as soon as they are ripe and ready to eat! We press our tasty apple cider during apple season. Our farm stand, bakery, and kitchen items are available daily. Our bakery/kitchen is well known for our delicious old fashioned cider donuts, our scrumptious homemade whoopie pies, fruit scones, custard puffs, turnover, fruit pies,apple squares, peach squares and more. We have our homemade chocolate fudge, maple fudge,and buckeyes. Our homemade pierogi and golumpki are available daily and homemade kapusta is available on Friday & Saturday. We offer a few specialty homemade deli items. Our farm stand is presently stocked with a variety of homemade jams, jellies, relishes, local maple syrup and our pure raw honey. We haven’t forgotten “ Man’s (or Woman’s) Best Friend – we have our home dog treats!